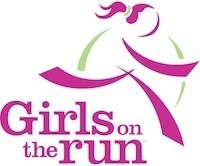 We are pleased to announce that Girls on the Run® (GOTR) of Northwest Arkansas is being offered at YOUR school this Spring 2019 session! Girls on the Run® (GOTR) is an international youth development program inspiring girls to be joyful, healthy and confident using a fun, experienced-based curriculum that creatively integrates running. Girls will learn to celebrate their bodies, honor their voices, recognize their gifts and activate their limitless power. With community support, we have successfully delivered the GOTR program to over 8,400 girls in Northwest Arkansas since the fall of 2004. This 10-week program is designed for girls in 3rd through 5th grade. Beginning the week of February 18th and spanning through the week of May 6th, trained volunteer coaches - Coach Hale and Coach Carter - will meet with the girls enrolled in GOTR from 3:15 to approximately 4:45 on Tuesdays and Thursdays at your school. Over the course of the program girls will develop and improve competence, feel confident in who they are, develop strength of character, respond to others and oneself with care and compassion, create positive connections with peers and adults and make a meaningful contribution to their community. As part of each lesson in living a healthy lifestyle, physical fitness is highlighted by encouraging stretching, walking and/or running. The culmination of the spring session will be a celebration 5K run on Saturday, May 4, in downtown Springdale at 9:00 a.m. *The last 2 lessons will be the week after the 5K due to AAA’s year-round schedule. 1. It is essential that every girl who participates in GOTR attend every class. The classes build on each other, as does the running/walking training. Please do not sign up if you do not intend to have your daughter participate every Tuesday and Thursday. 2. The girls need to come to the classes prepared. They should bring a water bottle, running shoes and light jacket if necessary, as well as be properly dressed according to the weather, (layers if it is cold) suitable for outdoor games and running/walking. 3. Transportation home from the after school program is the responsibility of the parent or guardian. We also ask that the girls be permitted to stay until class is over (at approximately 4:45 p.m.). Most of the “work-out” portion of the class is at the end of the lesson. Girls who consistently leave early will find it harder to prepare for the final 5K. In Northwest Arkansas, we believe that every girl should have the opportunity to participate, regardless of income. Basic expenses include: snacks, t-shirts, finishing medals, curriculum guides, final celebrations, insurance, coach trainings, program fees and materials. Through sponsorships, donations and philanthropic grants, we have been able to support 90% of our participants. All other GOTR councils across the country charge an average registration fee of $150. It is through donations that our council is able to continue to offer the program for free. We ask, if you are able, to consider making a donation to cover expenses. You will see this online during registration. As we continue to experience exponential growth in the program, it has become a greater challenge to provide such a significant number of scholarships. Please, as you are able, carefully consider your investment by donating to Girls on the Run® of Northwest Arkansas. Ultimately your daughter will finish the session with a lifetime of confidence and the power to stand tall. It will truly be worth the investment and commitment. _______________________________________ plans on participating in Girls on the Run, starting in February 2019.